Payments as low as $94/mo. Or, apply & pay as little as $94/mo. 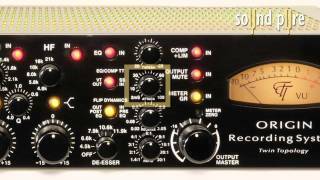 The Millennia NSEQ2 is an amazing EQ, the same this on the STT-1 Origin Mic Preamp. This four band parametric EQ is very versatile and transparent and can be used in many situations. 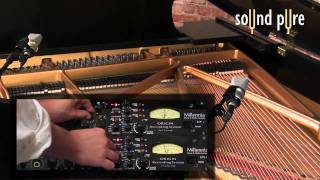 In this video, we sweep through the EQ on a jazz piano recording to demonstrate how clean it is before brightening up the Steinway Grand Piano . If you are interested in the Millennia NSEQ-2 or the STT-1, please let us know. We would be happy to give you more information on this excellent EQ. Call us anytime, anywhere in the world at 919.682.5552. The Millennia NSEQ2 shares the same sensation EQ as the STT1 Origin Mic Preamp channel strip. 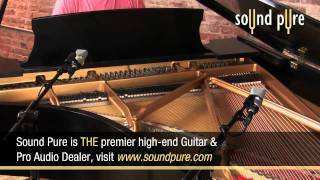 In this demonstration we take you through the tube and transformer coloration capabilities, as we engage and disengage these on a Jazz Grand Piano recording. We then demonstrate the capability of the EQ in a surgical fashion, by taking out some offending frequencies in a Baritone Sax. Give us a call to discuss either of these powerful products from Millennia media that we rely on in our professional work here at Sound Pure Studios. Call us anytime, anywhere in the world at 919.682.5552. Millennia Media's STT-1 Origin contains their clean/transparent preamp, a four band parametric EQ, Compressor, De-esser, and both vacuum tube and solid state signal path options. It is also possible to link a pair of STT-1s in order to use them as a mix bus/stereo pair - great for mastering. This video provides an overview of the Origin, and covers all of the features. This is also the last video in our Millennia Media video series. Check out all of our other videos featuring Millennia's products. The Millennia STT-1 Origin channel strip from Millennia Media is an all-in-one recording channel. It offers Class-A vacuum tube circuitry, Class A, discrete, J-FET solid state topology, as well as a colorful choice of transformer-coupled or transformerless audio paths. 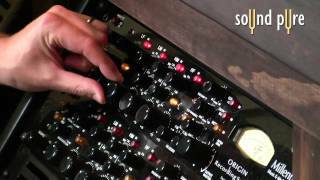 The Origin utilizes Millennia's fantastic NSEQ, TCL compressor, DI, HV-3 solid state mic pre, and de-esser. A pair of STT-1s can be linked in order to use them as a mix bus/stereo pair - perfect for mastering. 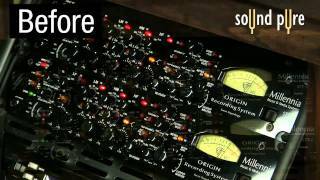 In this video we use a pair of STT-1s to master an indie rock song by Peter Bergquist, a simple, four mic drum track, and a big band tune written by Tony Mazzella and performed by the UNC Jazz Band here at Sound Pure Studios. Listen to the differences between the before and after settings. If you are interested in the Millennia STT-1 Origin or any other recording gear, please don't hesitate to call or email us hear at Sound Pure. Established as a classical music recording company in the 1980s, Millennia Media has grown to become one of the world's respected manufacturers of critical audio recording products. Now with more than 40,000 microphone preamplifier channels shipped, Millennia continues to set sonic precedent in solid-state and vacuum tube mic amps, equalizers, compressors, mixers, and recording channels. With numerous industry awards, fourteen TEC nominations, ten PAR Excellence and Reviewer's Pick awards, an E.Q. Blue Ribbon Award, three Stereophile Class A awarded products, an extensive owner's register of leading audio professionals, and a reputation for musical realism second to none, we believe you won't find a more transparent range of professional audio products on the planet. 10 Hz - 20 KHz, 100 mV C.M. Main Hard-wire Bypass Switch For Each Channel? Peak/Shelf Selection On High & Low Range? Hard-wire Bypass Switching On Individual EQ Bands?